I didn't see a thread for this game. 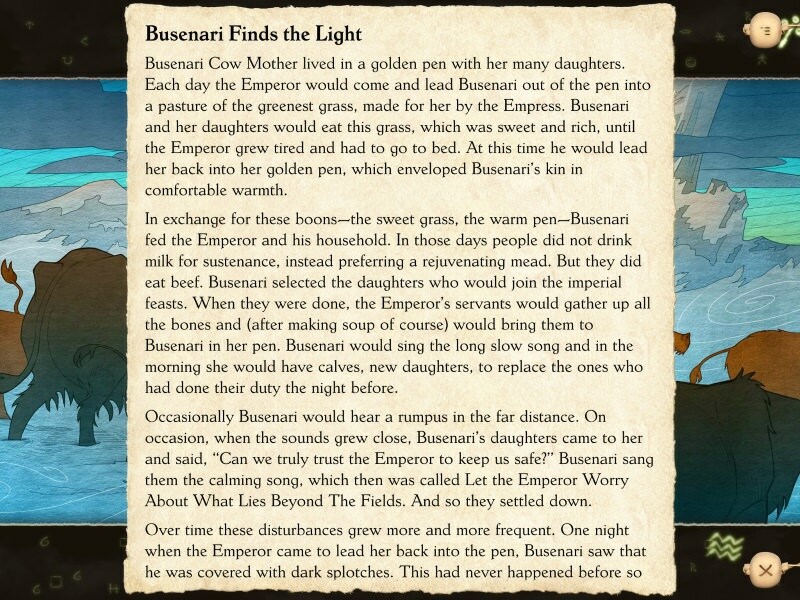 It released yesterday for IOS 9+ (Ipad 2 or better or Iphone/ipod equivalent) and PC/MAC 2019.
claim your destiny when you’re beset by wizards, lizards, and worse, your barbaric neighbors, the Orlanthi?" by the ice. They have found a new home multiple times, but the Ice followed and they had to migrate again. earlier and the land looked promising. You decided to set your roots there. 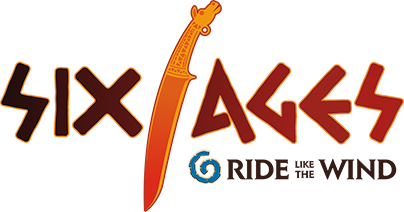 Six Ages is turn-based game, where year is split into multiple season. On Sacred time you get portents and decide what to focus on. Each season you can do 2 things and random events happen. You can for example try to Trade, Raid cattle, explore or learn gods mysteries. On Sea Season your clan plant your seeds. Fire season is idle time and good for raiding. Earth season is harvest time. Dark Season is the winter when people usually don't travel far. Last season is Storm season which changes from extended dark season to early Sea season. Part of the Explore map. On north side of the River are Rider clans (same as you) and Wheel clans (Similar to you). On south side of the river are the Ram clans, who worship the hated Orlanth. part of your identity and cow mother is central of your pantheon. It's time to return to the land of Glorantha, gather your kinsmen and Ride like the Wind. 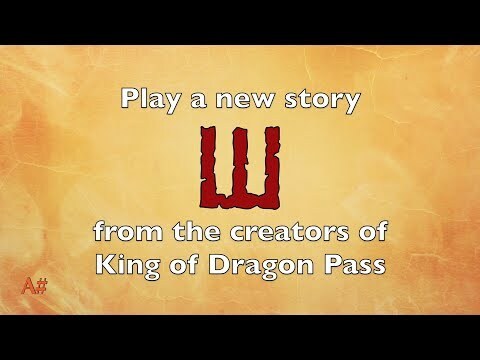 I really loved the King of Dragon Pass and this game is so much improvement over it. It plays similarly, but its much more open with giving out information what happens. 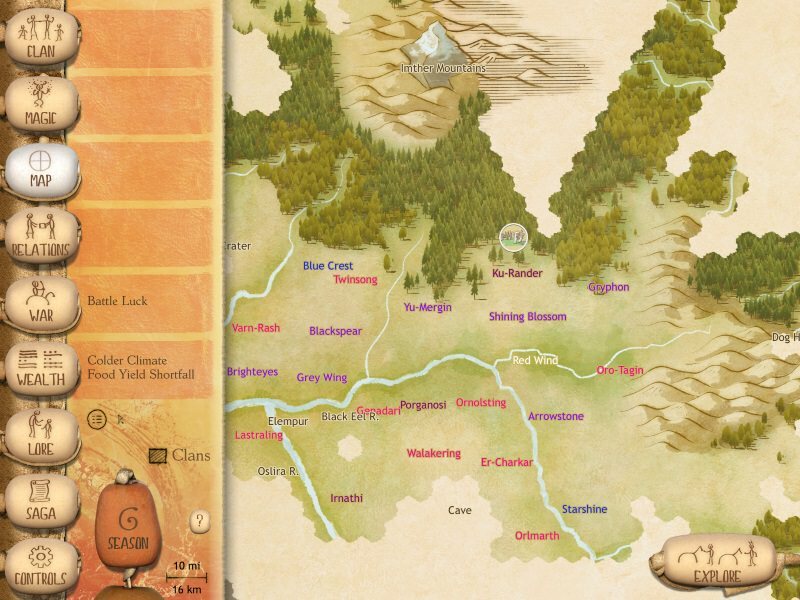 Unlike KODP the situation and clans are mostly made for this game, so it has lot of surprises to Glorantha veterans too. I've been keeping half an eye on this game, because I really liked King of Dragon Pass, so I figure I'll like this one, too.  But I want to get it for PC, so I guess I'll be keeping half an eye on it some more. 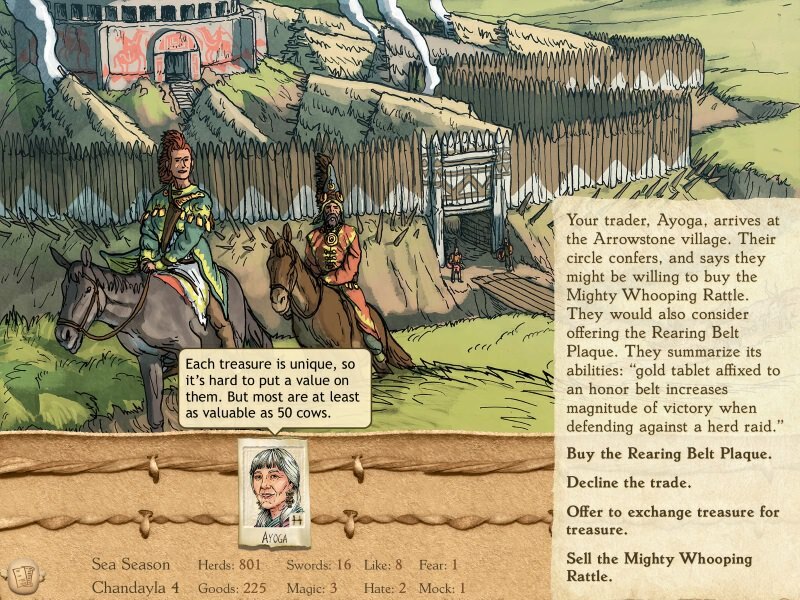 Very interesting, I've been a long time fan of King of Dragon Pass, but this flew under my radar. Gonna have to be a PC pick for me. I desperately wanted to love KoDP but couldn't because I hadn't read the mythology so my progress was extremely limited. I didn't know the lore behind the rituals so I could rarely successfully perform them and the outcomes basically felt unpredictable/nonsensical/random without that knowledge so the game got very frustrating. In fact, one of the things you could earn were extra details about them that aren't there when you first start that will give you even better odds of success. Also, there are duckmen in this game too, right? I don't think the game would be complete without them. So I see for ios they have six ages and the original KoDP, should I go right to six ages or play the original first? 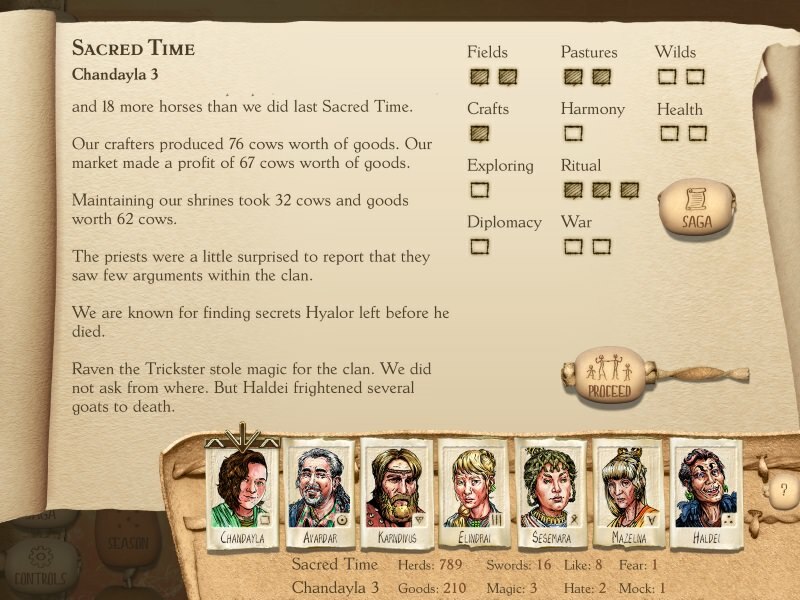 Is there a point to playing the original with six ages now? 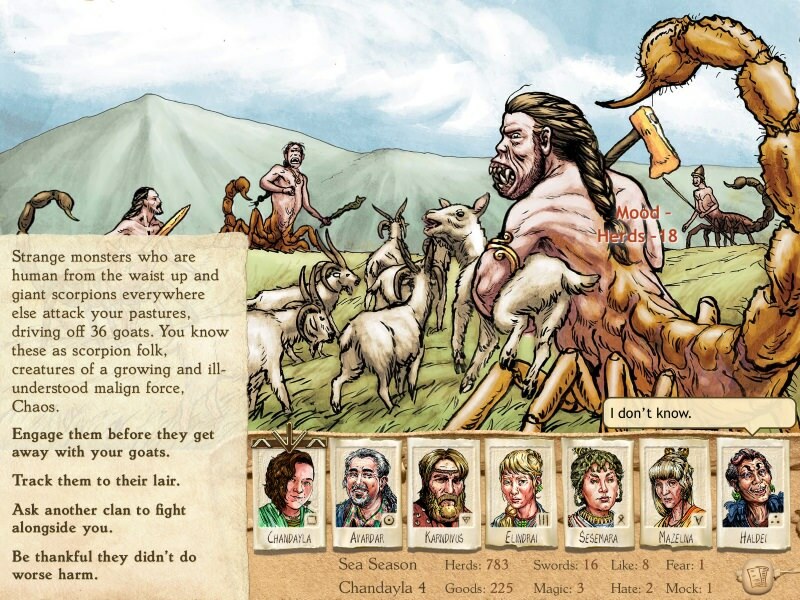 Six ages is much more user friendly than KoDP and requires no knowledge of the previous game. 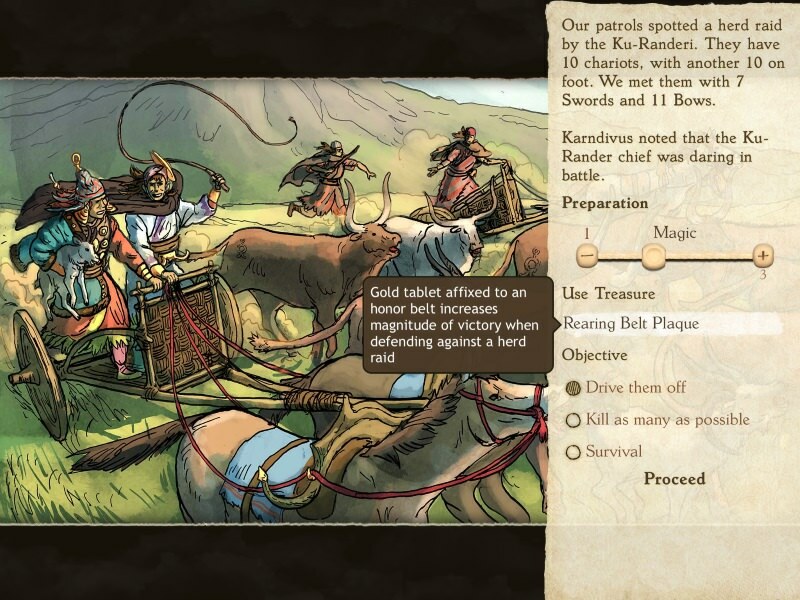 KoDP is worth to play afterwards if you want another story set in the world.